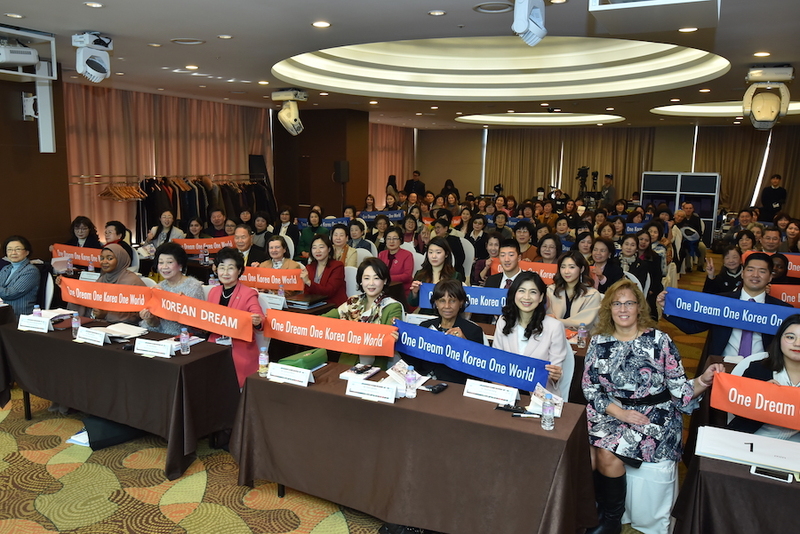 Dr. Jun Sook Moon, the co-founder of Global Peace Foundation(GPF) and Chair of Global Peace Women, brought an enlightening, however uncommon, perspective to Korean reunification in an informative speech at the recent Global Peace Convention hosted in Seoul. According to Dr. Moon, the mission of fulfilling Korean reunification begins in the home. At a time when Korean unification is bringing brought closer to the forefront of the international stage, it is important to remember that a reunified nation may take many forms and not necessarily uphold the aspirations, values, and ideals of its citizens. This is why Dr. Jun Sook Moon and her husband Dr. Hyun Jin P. Moon are working to articulate a universal vision that reflects the most cherished ideals of the Korean people on their path to reunification. Dr. Moon shared her conviction that such a nation would spread peace and development across the world. So how does the Korean dream connect to home life? If parents embody the ideal of Hongik Ingan by living for the benefit of every family member and every human crossing the family’s path in life, children would learn this ideal and more likely embody it as they mature into adulthood. Hongik Ingan is not something the government can mandate. It’s a way of life, already embedded in Korean history and society to some extent. A nation embodying Hongik Ingan is only possible if its citizens cherish and embody this ideal in their daily lives. And according to Dr. Moon, the family unit is the most natural place to learn and practice this ideal. Though the foundation of a loving, harmonious family is dependent on both men and women, Dr. Moon took the opportunity to acknowledge and uplift the unseen efforts of mothers. The Korean Dream will only be achieved through the “everyday actions” of Koreans in the North, South and around the world. As natural peacemakers, women have an important role in realizing the Korean Dream. Visit www.1dream1korea.com for more on the One Korea Global Campaign.